What's the World Economic Forum doing about the gender gap? The World Economic Forum has been measuring gender gaps in countries since 2006 in the annual Global Gender Gap Report. To turn these insights into concrete action and national progress, we have developed the Closing the Gender Gap Task Force model for public private collaboration. These Task Forces have been convened in Argentina, Chile, Colombia, Costa Rica, Dominican Republic, Panama and Peru in partnership with the InterAmerican Development Bank; and in France, with a goal to expand the model to build a global network of economies accelerating gender parity. In these eight countries CEOs and ministers are working together in a three-year time frame on policies that help to further close the economic gender gaps in their countries. This includes extended parental leave, subsidized childcare and removing unconscious bias in recruitment, retention and promotion practices. If you are a business in one of the Closing the Gender Gap Task Force countries you can join the local membership base. If you are a business or government in a country where we currently do not have a Closing the Gender Gap Task Force you can reach out to us to explore opportunities for setting one up. 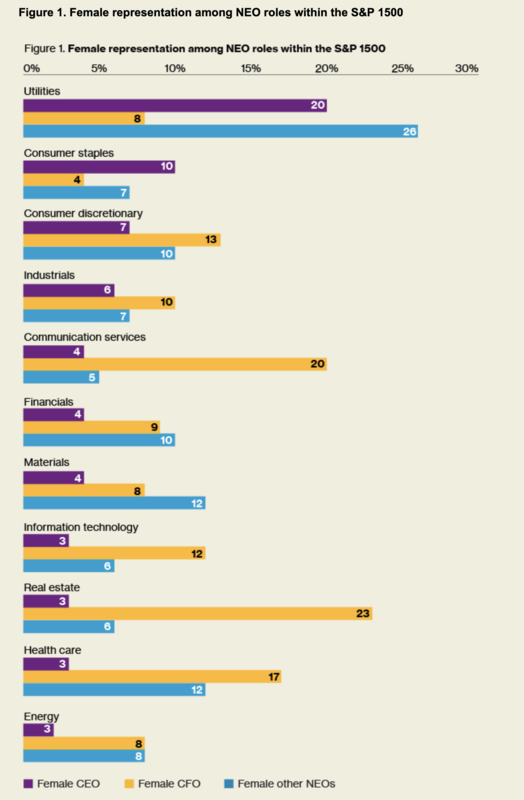 While there is some variation by sector - see Figure 1 below - none shows women rising above 30%. The utilities sector has the highest female representation in the NEO ranks, and the energy sector the lowest. 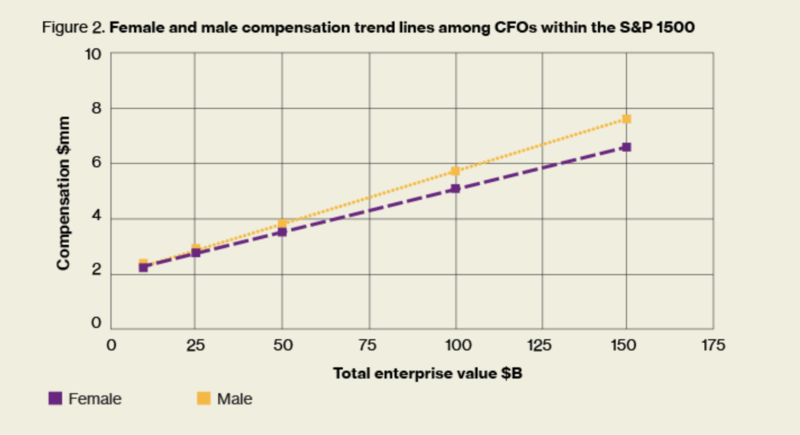 Although female CFOs in smaller organizations tend to earn pay comparable to their male counterparts, among larger companies a gap starts to emerge - and this gap grows larger with company size, as shown in Figure 2 (below). Among companies with more than $50 billion in enterprise value, the gap is about 11% on average.